Remember the Pretentious Movie Reviews on YouTube? Good. Now forget them. That was just a warm-up to comic Biswa Kalyan Raths full comedy prowess. The comedian has moved up a few notches since his YouTube glory days and is using his IIT-Bombay education, along with his knowledge of mathematics, language and life, to make jokes that have never been cracked before. 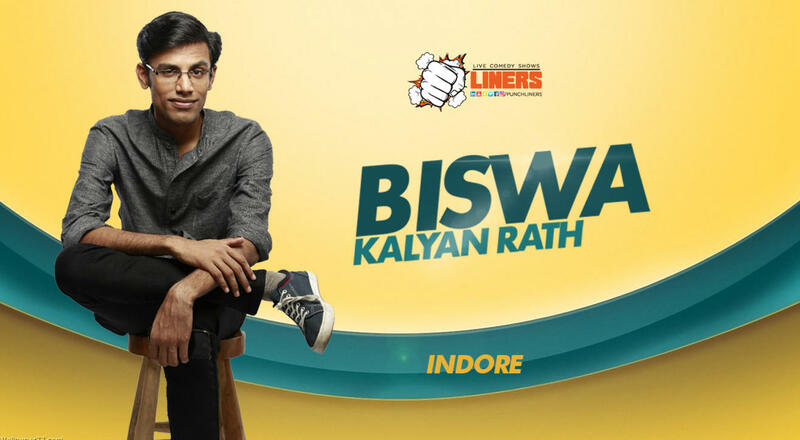 He recently released his comedy special, Biswa Mast Aadmi, to rave reviews, with which he toured every pocket in India. Soon after, he released 'Laakhon Mein Ek', a surprisingly dark web-series on the IIT coaching industry. One of the most-followed comedians in the country, Biswas angry rant-styled delivery and his unique perspective turns every topic he touches into comedy gold, making audiences crack up instantly. The stand-up comedian, writer, actor, size-zero enthusiast and blogger, has done countless shows across all sorts of venues in the country and has managed to garner 14+ million views on YouTube. Need we say more?